Travelling has increasingly become a cause for concern. 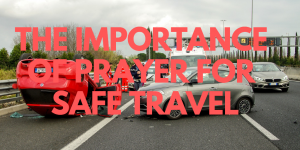 This is why there is a greater need for prayer for safe travel. I remember a few years ago when I heard that a plane had vanished. Yes, vanished into thin air. While I was still trying to process that, the news carried a similar story. Another plane had just gone off the radar. Such was the concern that I would have thought twice about taking a flight at that time. 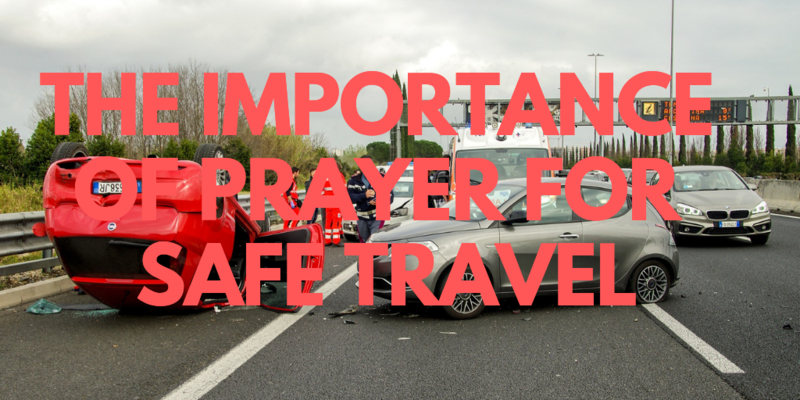 It’s astounding why anyone would go without prayer for safe travel. When all of this was starting to be forgotten, in January 2019, a similar story came into the news. This times it is a little more high profile. A professional footballer and a pilot have gone missing. Sala was on his way to Cardiff, where he was going to be playing. He had just signed a transfer contract. What sets this story apart is that this was a flight within the same continent. They were not flying over a war zone. These are flights that are meant to be safe. And if something was to go wrong, they ought to be found. I grew up in the church, so I know all about “praying for journey mercies.” Travelling is never to be taken for granted. We are to always be aware that this may be the very last time that we see our loved one alive. 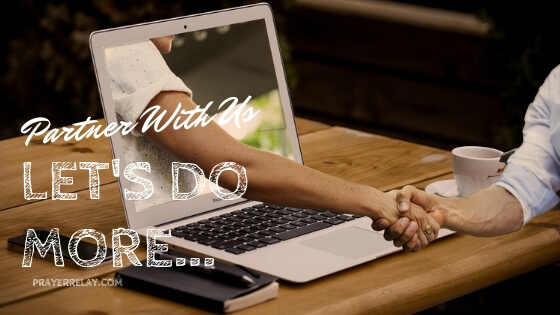 If we knew we could influence the outcome, would we do something about it? Prayer is a method by which we can have influence over the outcome. The Bible tells us that when distraction was on its way to Lot, Abraham’s prayer had brought relief to Lot and his family. Who is meeting their end because you and I have chosen to be passive and silent Christians? The Bible tells us that the Lord seeks intercessors among us. Those that would stand up for the hopeless and for the ignorant. It is easy to get up, drive or fly and arrive, then take all of this for granted. There are countless people across the planet, who were better prepared for their journey than you were. Yet, some of these people did not reach their destinations. We are at constant war in the spiritual realms. Most of us don’t realise this, because we do not see it. Blessed are those that believe without having seen. When you understand this, you begin to note that there are arrows that are shot your way but didn’t hit you. Not because of your finite wisdom or foresight. They simply didn’t get to you because of a sovereign God who is watching over you. 1 Samuel 21 13 And he changed his behaviour before them, and feigned himself mad in their hands, and scrabbled on the doors of the gate, and let his spittle fall down upon his beard. There is a seed in every single one of us that the enemy would rather see go to waste. I always say, “Destiny demands a struggle.” The greater your destiny is, the greater your struggle is. King David, an anointed King had to feign madness at one point. There was a struggle. He had to dodge spears and arrows and fight in many battles. There was a struggle. If you know that what we wrestle is not flesh and blood, then you understand why prayer is our greatest weapon. I challenge you to wield this mighty weapon. Father God, I bless your name for every individual who will read this, every one who will say these prayers for themselves or for their loved ones. Show yourself strong. May the mouths of their enemies be shut! In Jesus’ name! Amen. Our prayer is that wherever you fly to, you will arrive. Nothing untoward will happen to you. In the name of Jesus! Most of the fatalities that occur in travel occur on the road. It is natural to think that we have some control over these things, as the driver. It is by God’s grace and only by that grace that we arrive safely. There are countless testimonies of people falling asleep behind the wheel. Yet they have lived to tell the story. May your journey behind the wheel is not the end of you. On a personal note, I am super critical of other people’s driving. In fact, I feel disrespected by the recklessness that some people show while I am a passenger. It is not an easy thing to know that your life is in someone’s hands. We are going to pray for your loved ones, believers and non-believers alike. By your faith and prayer today, accidents will be averted. God will save people who will neither know it was him nor ever give him credit. All because you have stood in the gap today. Dear Heavenly Father, I thank you for my family. I thank you for my friends and colleagues. Lord, I speak your covering over every single one of them. Watch over them oh God. Let no harm come on them as they travel. Whether it is by sea, by air or by land. You are God over it all. Guide and keep them. Preserve their lives oh God. May they not die prematurely. Whatever seed you have placed in them will not be terminated before bearing fruit. In Jesus’ name. Amen. Thanks for praying with us. We would like to extend an invitation send in your prayer request. If you would like to support our work as we create more content head over to our PATREON.